The stock market has been on a decline for months now and it isn't good news for some of our favorite billionaires. The volatility of the stock market has already demoted Go Pro founder Nick Woodman from billionaire to millionaire. Now, it has claimed another casualty in Jack Dorsey. Thanks to the tumbling price of Twitter and Square, Dorsey can kiss that 7th digit of his net worth goodbye. The tech mogul is now worth a mere $944 million. Previously, his net worth was $2.2 billion. January 20th was a particularly brutal day for Dorsey. Both of the tech companies he helped found took a beating. Just 90 minutes after the stock market's opening bell, Twitter stock was down 6% and Square was down 11%. On Wednesday, Square's share price fell to $8.46, which is below the $9 debut it was set at when the company went public in November of 2015. It has since rebounded a bit, to $9.87 a share. Square's highest stock price was $13.09. Twitter has fallen from $23.14 per share on December 31st to $15.64 on Wednesday. It has also rebounded just a bit, to $17.86. Both Square and Twitter are down 30% in 2016. Twitter is down 57% over the past 12 months. Currently, Dorsey is juggling the CEO gig at both companies. In September, Dorsey's net worth was estimated at $2.2 billion, due in large part to the $6 billion private valuation of Square. 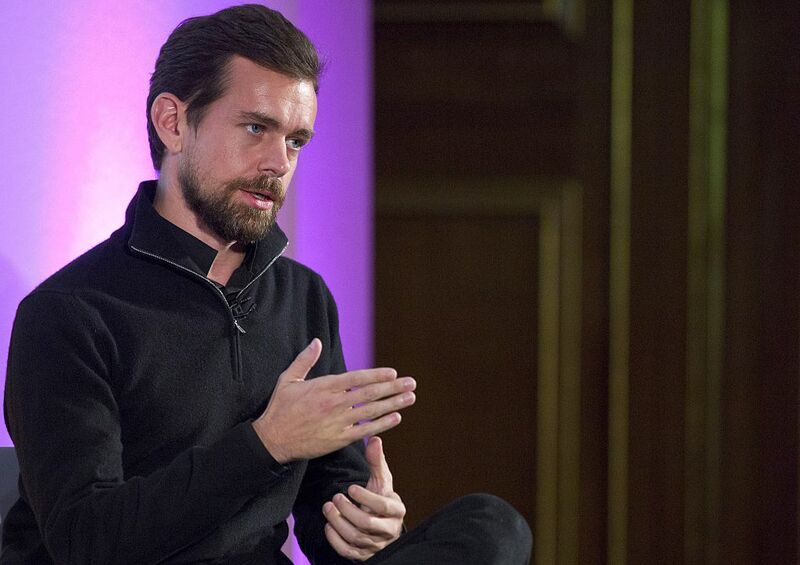 When Square went public in November, Dorsey's net worth dropped $800 million to $1.4 billion overnight. When the dust settled on Wednesday's day of trading, Dorsey's net worth was $944 million.